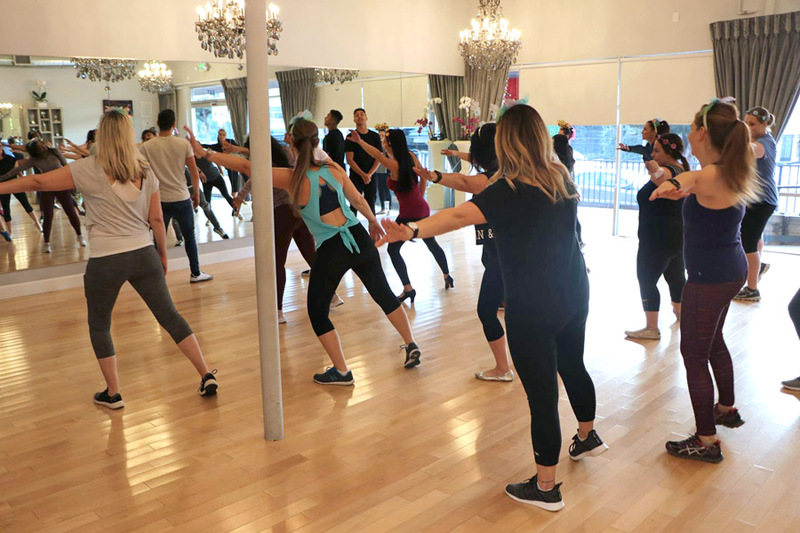 You might remember that, a while back, I visited a dance studio in Los Angeles. There, I met up with Dancing with the Stars pros and Dancing with the Stars: Juniors mentors Brandon Armstrong, Gleb Savchenko, and Alan Bersten. I couldn’t tell you much about our The Nutcracker and the Four Realms dance lesson at that time. But, that changes now. Finally, I can give you a peek inside our dance routine to Fall on Me, a song featured in The Nutcracker and the Four Realms by Andrea Bocelli featuring Matteo Bocelli. Here it goes! I enjoy dancing, but only as long as it’s in the privacy of my own home where no one else can see how bad I am at it. So, dancing in a group like this in front of professionals was a tiny bit intimidating. Fortunately, the DTWS pros walked us through the dance step-by-step. Brandon Armstrong, Gleb Savchenko, and Alan Bersten broke the dance down into bite-size portions for us to practice. Then, we tried to put them all together and do everything in time with the music. You should try it too! We all had different skill levels yet, thanks to our talented instructors, everyone was able to pick up the choreography with ease. Some parts were harder than others, though. Most moves seemed simple but it was easy to get a little confused here and there. Brandon, Gleb, and Alan were so patient with our ragtag group of dancers and they kept the atmosphere light. After we practiced the entire routine a few times, it was time for a little competition. 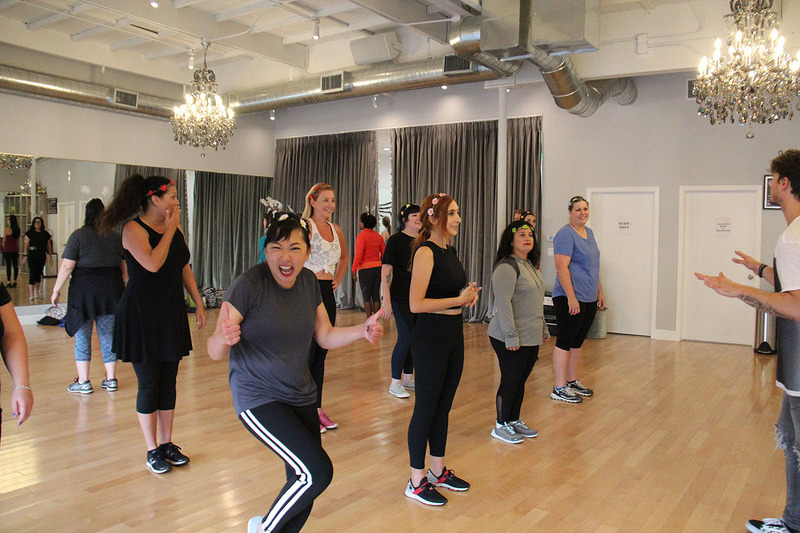 We split into three groups (based on our headgear) and checked in with our assigned Dancing with the Stars pro. 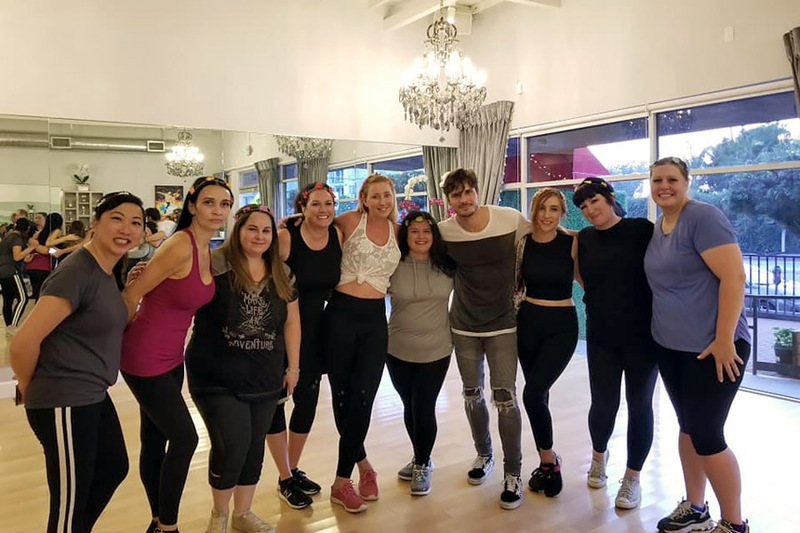 Our group worked with Gleb Savchenko. Thanks to his competitive nature, even added an extra move into our routine so we would win. Want to see how we did? Not too bad if I do say so myself. 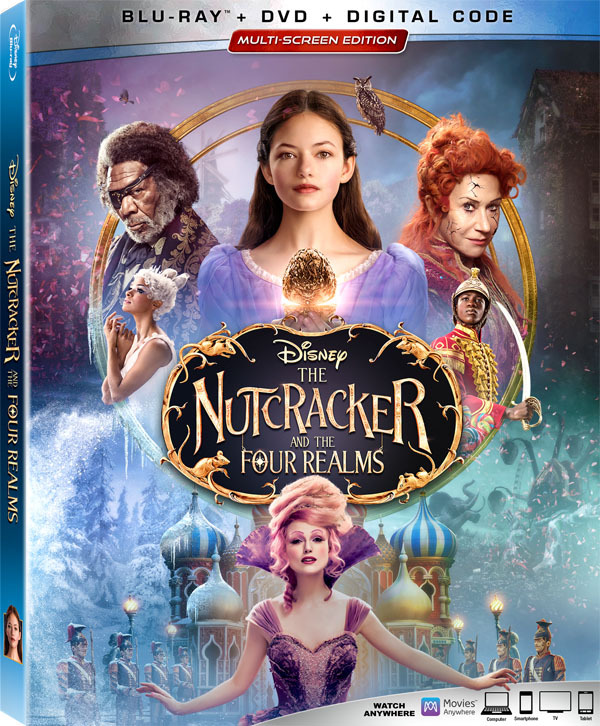 The Nutcracker and the Four Realms is coming to Blu-ray, DVD, and Digital HD on January 29th! Don’t forget to check out my review of the movie, our interview with Mackenzie Foy, Misty Copeland, and my summary of the pre-party. I was invited on an all-expense paid media trip as a guest of Disney and ABC. All opinions are my own.